If the steely skyscrapers and acres of tarmac on Hong Kong Island have you wanting to hug the nearest tree, the perfect escape is just 20 minutes away by ferry, Lamma Island. This 13 sq km island is home to just 5000 residents and is popular with western hippies, revolutionaries, and dropouts. Covered in a thick rug of jungle, the draw for tourists is the handful of relaxed villages, superb seafood restaurants, and stretches of empty golden sands. Most people come for a day trip, although there are a handful of guesthouses and one hotel on the island for overnight stays. It's a great place to take a breather from the frantic pace of life over in Hong Kong Island and Kowloon. Lamma Island's main village is Yung Shue Wan, a small, one street community now stuffed with bars, restaurants, and shops selling picnic pieces. 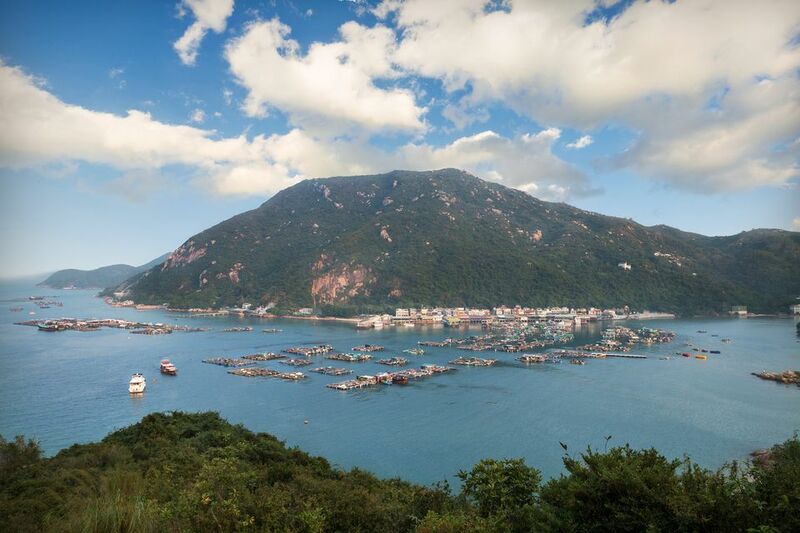 Hong Kong's Islands are famed for their seafood restaurants, and Lamma Island boasts some of the best. Most of the Lamma Island seafood restaurants are cluttered along the seafront in either Yung Shue Wan or the smaller, and somewhat more intimate, Sok Kwu Wan. In general, you will find an English menu can be rustled up, but, if not, a pick and point from the boxes of fresh fish and crustaceans stationed outside each restaurant. Quality is so high on Lamma that you're unlikely to encounter a bad dish, but one of the top picks is Man Fung Seafood Restaurant on the main street in Yung Shue Wan. One of the big draws of Lamma is its fantastic hiking trails, and, while they're not the best in the region, combined with a beach stop and a glass of beer at one of the Lamma Island's small villages, it's an easy way to spend a day. There are a number of marked hiking trails on Lamma Island but by far the popular, and the best for the hobby hiker​ is the Family Trail. Just 4km long, it runs between Yung Shue Wan and Sok Kwu Wan, a small bay and settlement on the other side of the Island. 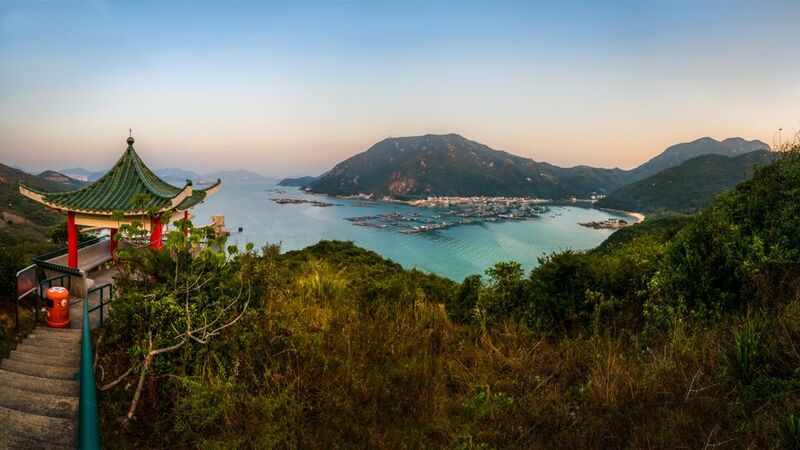 The hike offers some great views over the island and, at either Yung Shue Wan or Sok Kwu Wan you can have a bite to eat and take the ferry back to Central. The hike should take just over an hour. Lo So Shing Beach on Lamma Island is one of the best beach breaks in Hong Kong. Set in a small cove and banked by a thick fence of foliage, it feels like a hidden slice of peace and quiet. There are few amenities on the beach so you'll need to pack your own bucket, spade, ​and sandwiches. During weekdays, even in high summer, the beach is practically deserted, although weekends, particularly Sunday, can bring a decent although never overbearing crowd. The beach is just off the Family Hiking Trail and about 80 mins from Yung Shue Wan.